Training for fitness and a little less wheeze! Hey guys, you've read Joe DeSena's new book, "Spartan Up!" right? This summer he's coming out with a new book called "Spartan Fit". It's about giving yourself 30 days to transform your mind and body without a gym. It's going to give a a meal and workout plan for a Spartan Sprint. You'll have the tools right in front of you. This book will include so many health and fitness tools without a gym membership. It's only $21.60 and you can click here to pre order. Check out all of the Spartan Races and sign up for one of the newest four today! Use offer code SPARTANBLOGGER for 10% off any race! Have you completed a Spartan Race? Which one would you do?! Guys, The Pittsburgh Marathon half and full is tomorrow. Here's a few things to keep in mind before the big race. Get your outfit ready tonight! My alarm will be going off at 4am. I will not be thinking clearly. Make sure everything is prepared and ready to go for tomorrow. If you need to KT tape, then do it before you go to bed if you can. Anything that will not be worn in the morning needs to be by the door to go into the car. Have a change of clothes & baby wipes in bag check. When you're finished running, you'll be sticky and gross. I always take a different pair of shoes and clothes to change into. Also, I take baby wipes to wipe my body off with. They also come in handy because by the time you're finished running there is no more toilet paper in the Downtown Pittsburgh area. Have breakfast and snacks ready. Last year I failed miserably. I was a VIP in the marathon so they had breakfast ready for us. I assumed I would get there in time to have breakfast but the bathroom was my first priority and the line was too long. Once I came out of the bathroom I had to find my corral. I starved through the race and was miserable. After you run you will probably be a little bit hungry. When you go through the finish line they have a line for you to get snacks and put them in your bag. I still pack my own so I have something to eat afterwards because this year I will be waiting for a friend to finish the full marathon after I complete the half. The city will be packed. Okay people, the race was a total sell out. So, roughly 40,000 runners. Say each runner has just one person coming to see them, so now the city will have 80,000+ people in it. On top of that, there's a Pittsburgh Pirates game! Leave early. Carpool. Be polite. You signed up for this knowing it was one of the biggest races in the country. If someone bumps into you, get over it. The coral situation is very frustrating because you really have to touch the people around you. It's gross but it happens. Try to hold your farts in while you're in the corral. Please stop taking selfies during the National Anthem. Really? I get that you're excited but have respect. Take your hat off and get off of your phone. Thank your volunteers! I don't know if you know this but the people with the fluorescent shirts on that say "volunteer" on the back VOLUNTEERED their time for you. They don't even know you. Thank your Volunteers, Police Officers, Firefighters, and any Armed Forces that you see working or running that day. Just run, and enjoy yourself. Don't worry about your time just worry about finishing. Have a great race! Thank you, Pittsburgh for another year! Guys, training is tough. Pittsburgh winters are cold and people don't salt their sidewalks and treadmills are tough. I have so many excuses as to why I don't run in the winter. Really, I just hate running in the winter. I have a two marathon training confessions. 1.) I don't usually really start training until 1 1/2-1 month before a half marathon. A full marathon I give a solid three months of training. I do a lot of cross training so I save all my running enthusiasm until then. By no means am I saying I don't run at all before a month and a half to a month before race day, I just don't train as hard. 2.) When I do train, I train mostly on hills. 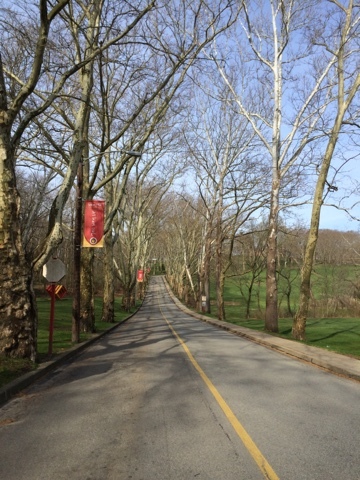 If you've ever ran the Pittsburgh marathon, you'll know that it isn't flat. Like at all. No. 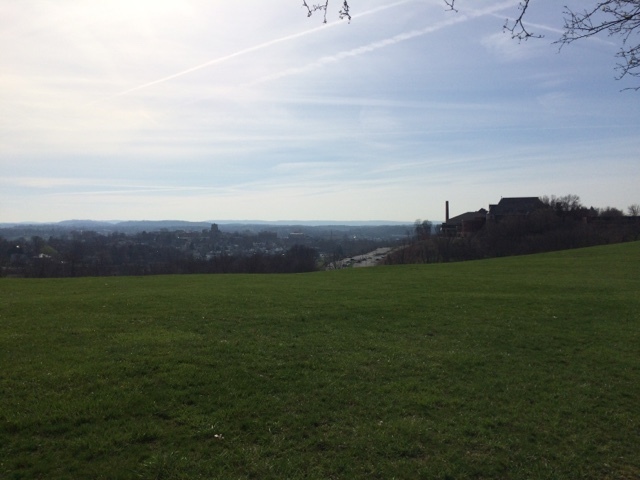 So, if you train on nothing but hills it makes Pittsburgh seem slightly flatter than expected. Today's raining run was the hilliest. Actually, it was one of my prettiest runs too. 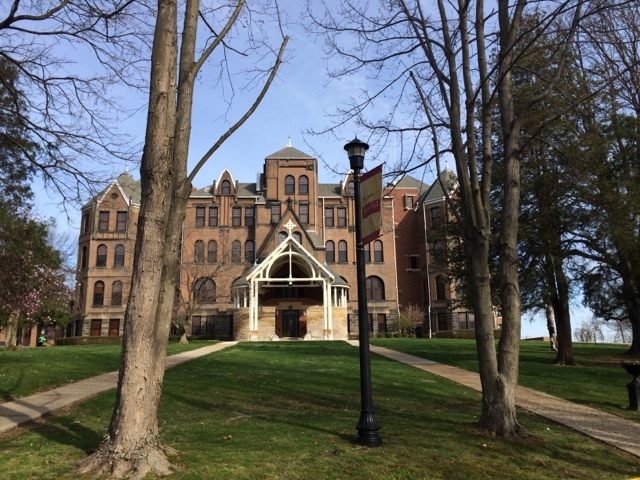 I started from my house to Seton Hill's campus. It was only about 1.30 from my house. Then I took the hill the whole way up. That was my view once I was on campus. The build is so beautiful. It was quiet and peaceful. I saw about two other runners running on campus. Amazing. 6 miles later I made it back home to go play in the garage and go to Easter dinner with my family. Any training confessions that you would like the confess? August 26,2015 my husband and I closed on our very first house in a very new town. We're only about 15 miles away from our family but it's still new to us. After our move a very good high school friend moved back home and we trained for the Columbus Marathon together. Unfortunately, after Columbus I haven't done much. The holidays hit, I taught classes and went to CrossFit but neglected running. Recently, we've been hit with some unexpected bills and I had to quit my beloved crossfit to save spend extra dough. In the effort to get back at marathon training I found a running group in my town. A lifetime membership cost $20. Lifetime! :) That's a huge commitment. I'm very nervous to start running with a new group when I don't know anyone but I'm ready for the challenge. I'll be updating you guys more frquently as I get ready to run Pittsburgh Half and become a bigger part of this group. My half marathon goal is to finish in 2:20:00 or earlier. Very doable. I'm looking forward to training for Pittsburgh 2016! Guys, it's cold out. Do you know what I do when it's cold out? I sign up for races. I don't know why but January, February when there's a big snow storm I usually sign up for a full marathon. Many people in my area received close to 20 inches of snow this weekend. 20 inches!! That's a lot of races to sign up for. For the third year the Pittsburgh Marathon asked me to blog for them. Besides the fact that this race was my first half and full marathon, this will always be my favorite race organization. They even gave me a perk for you. 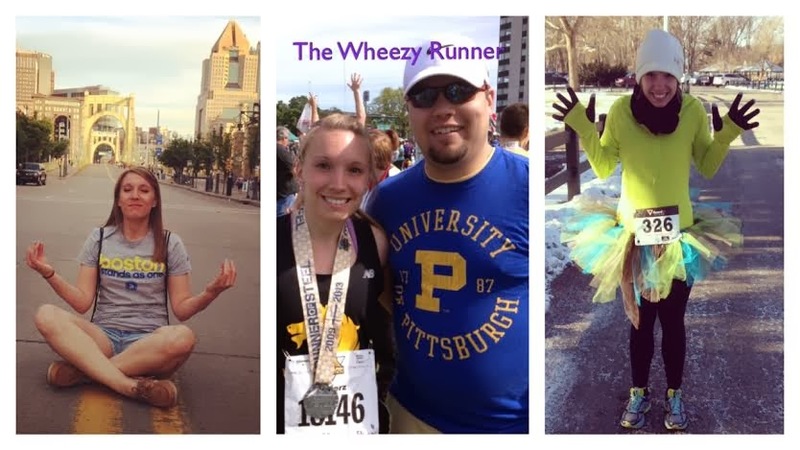 If you feel the need to sign up for races when it's freezing out, Pittsburgh is your race. 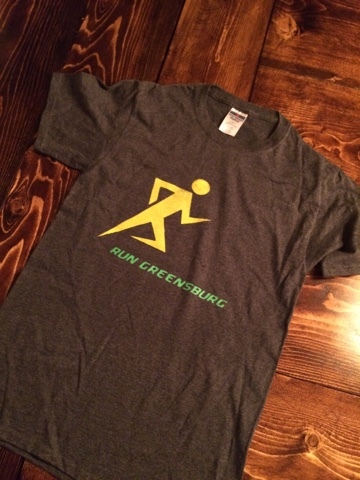 Go to www.pittsburghmarathon.com and use MARKS2016 for $10 off registration and %15 off gear store. I can't wait for another adventure running the Pittsburgh Marathon! Hey Guys! I hope everyone's week has started off well. I've been asked to let you know about a pre-order launch that is going on today. 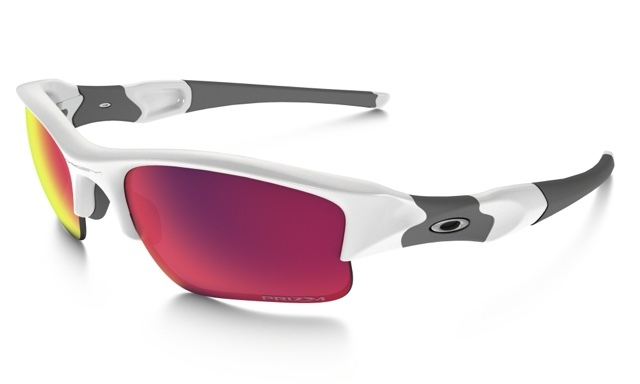 Everyone has heard of Oakley, right? Well, they are launching a new line called PRIZM. My husband is a HUGE Oakley fan. Sunglasses are to him what handbags are to me (except he has more sunglasses than I have hand bags). 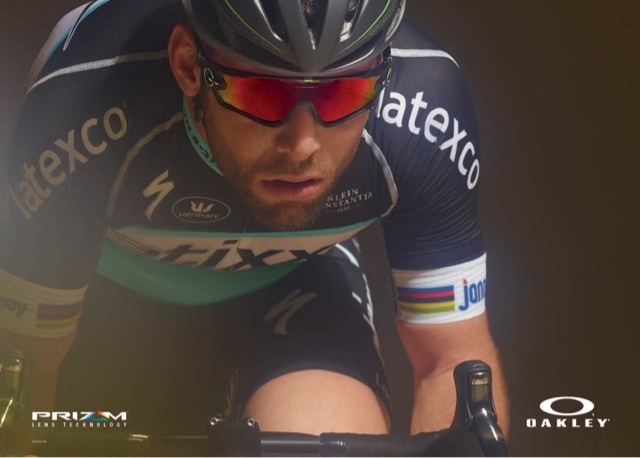 Oakley PRIZM Lenses emphasize color that the eye is most sensitive to in specific sports and environment. These lenses are great for golf, cycling, and baseball. You can get these "sport specific". They also come in a prescription lens. 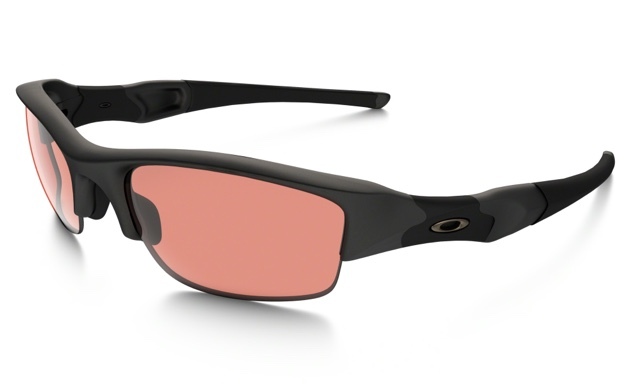 These glass run about the same price as the average Oakley so you can get them anywhere from $276-$494. Head on over to Salt City Optics and pre-order yours today! Hi guys! Last Sunday started my marathon training for the Columbus Marathon. This year I'm running the full, ya know, after last year's full when I said that I'd never run another. I guess I was wrong. My very first week of work outs didn't go as planned, and that's okay. -My goal was 5 but it got hot early and I'm glad that I only got 4 in because later that day I got a migraine so fierce that it induced vomiting. Great way to start day 1! - I was afraid to workout because I still wasn't feeling up to par. -Bonus workout: 1-2 mile walkish run. 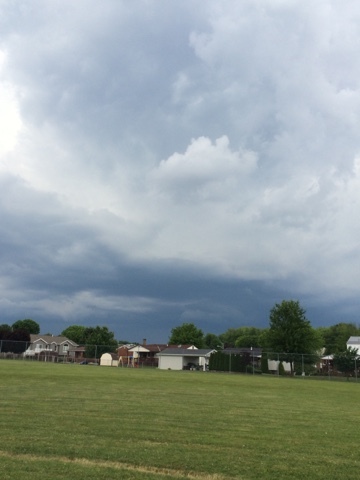 I had to go pick up my car on the other side of town and the plan was to walk until I heard a roll of thunder and then took off. In case you're wondering, I made it to my car dry. - yesterday wasn't supposed to be a rest day but my husband and I got up early to go venture through one of our favorite towns and see some family. Later we came home to clean out our house for a yard sale next weekend. That was a workout in itself! In the evening we went out to dinner with my in laws to try a new restaurant and take a drive. We walked during the day a lot and lifted a lot of heavy boxes. So there you have it. My first week of workouts for full marathon training. This year is going to bring on a lot of cycling and lifting but I'm confident that this will be much better than my last full marathon.